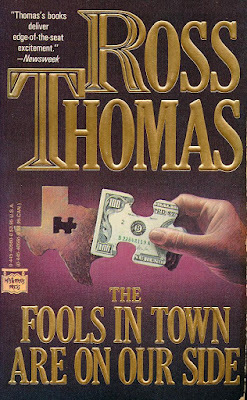 One Eternal Day: "The Fools in Town..."
.... Mr. Thomas, who also wrote under the pseudonym Oliver Bleeck, won critical praise for his stylish, well-told suspense novels enlivened with a dash of wit. The writer Stephen King, noting Mr. Ross's gift for character and witty dialogue, once called him "the Jane Austen of the political espionage story." Other critics placed him in the hard-boiled tradition of Raymond Chandler and Dashiell Hammett. 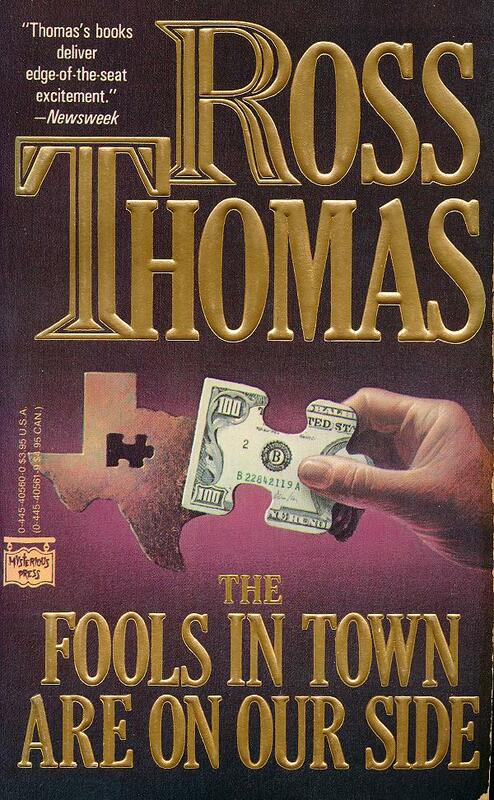 In 1965...Mr. Thomas turned out his first novel, The Cold War Swap, which he wrote in six weeks. The novel, a tale of skulduggery by the Central Intelligence Agency, received an Edgar Award for best first novel from the Mystery Writers of America. Lucifer Dye was born in Montana and raised in Shanghai's most distinguished bordello. Recently dismissed from Section Two, a secret American Intelligence Agency, he heads for San Francisco to be debriefed. Dye and Section Two are parting company because of the sudden, unexpected death of a Red Chinese double agent...a death which resulted in Dye's three month billet in a Singapore dungeon. Unemployed, armed only with a passport, a severance check, and his wits, Dye is approached by a man named Victor Orcutt. Orcutt's vocation is the cleaning up of corrupt cities through the application of Orcutt's First Law: "To get better, it must get much worse."